The powerful operation of a washer-extractor often requires that the machine be bolted to the floor. Softmount washer-extractors offer an alternative for specialized applications, such as second floors, where hardmount units aren’t an option. The heavy duty suspension absorbs vibrations without the need for special foundations. The inverter drive system delivers low energy use, high extraction speed, lower noise and fewer imbalances. 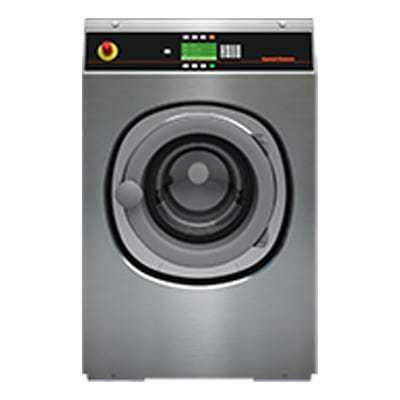 The 20 to 70 lb capacities offer an attractive, sleek, modern design with a slanted control panel for ease of operation. Available in 20, 25, 30, 40, 55, 70, 90 and 125 lb capacities.